I thought it was a hoot to see my old Nan digging bits out of our lawn and sticking them in a plastic bag in her hand bag (she always had a plastic bag tucked inside her hand bag…. I actually think she probably always traveled with a pair of seceteurs too!). Even more funny to me – as a child, I saw them just as the grass that grew in our west side lawn… we used to mow them like the rest of the lawn (much to Nan’s horror). Its only now, 35 years later, that I appreciate how lucky we were to have that carpet of beautifully coloured daisies growing as our lawn! 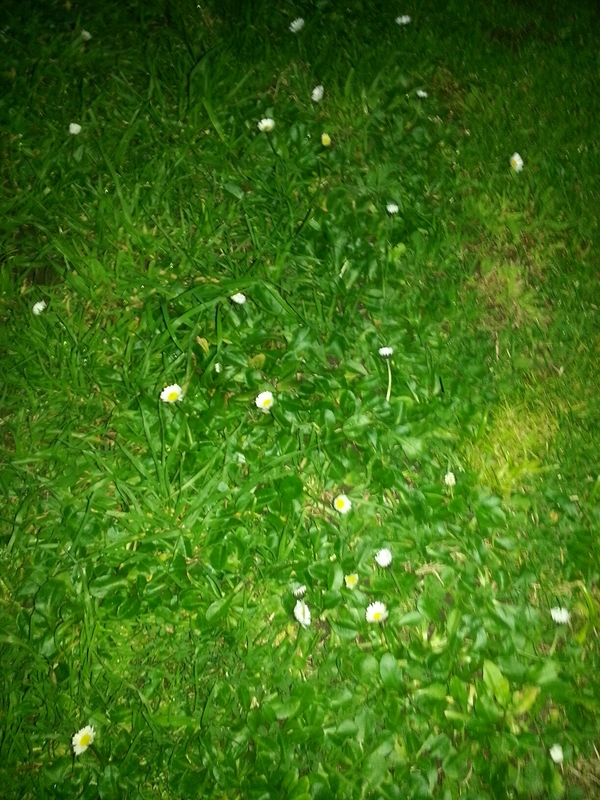 Seeing the white flowers got me thinking about the pretty ones that Nan used to dig out of my lawn when I was a kid. 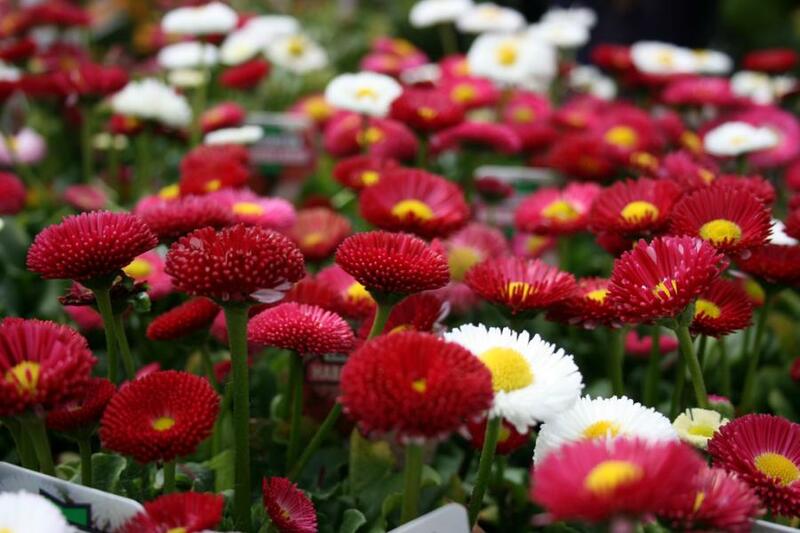 I showed my friend Robbie (aka ‘The Oracle’) a pic of the flowers and he correctly identified them as Bellis in half a second… so I went on a mission to find seed. Actually, was while I was first searching for Bellis Perennis seed that I stumbled across the Diggers Club website. 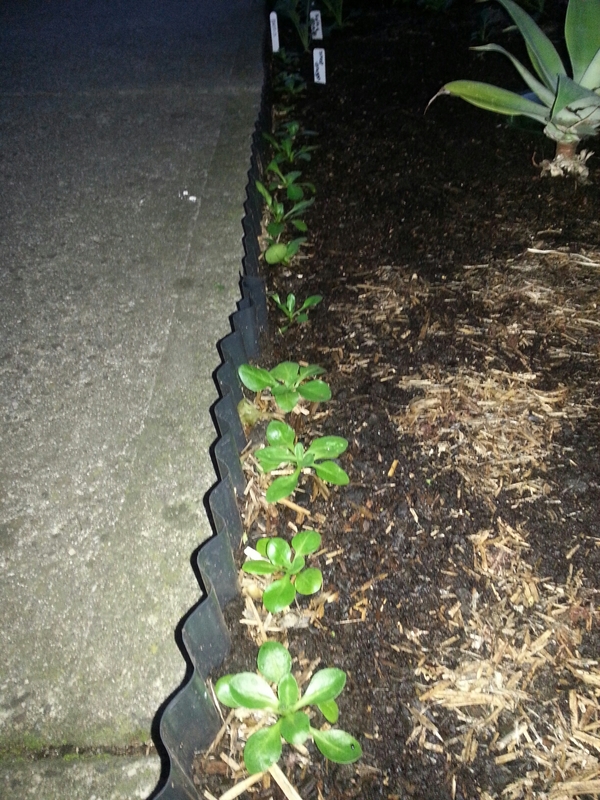 After sourcing seed I propagated some inside and after hardening them off I planted them as a border on the new east side strip. 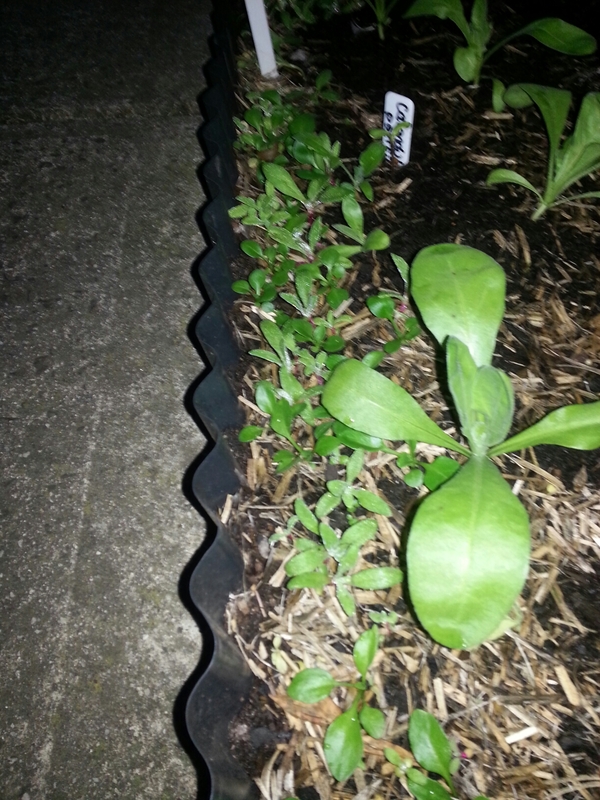 About 4 weeks after I first began to propagate the seed (still 2 weeks before I planted out the seedlings), I used a direct broadcast technique to on 2/3 of the border. I took a small amount of seed raising mix and let it dry out a little. I then mixed in the Bells seed and evenly spread it along the border that I wanted to cover. Of course, to finish off I lightly watered it in. The results have been awesome! ! In honor of my Gran, im gonna wait till after the landscape contractor comes to mow the lawn – then transplant the thinned seedlings into the lawn on the west side! Geez I hope I get some good colours- if all of 100+ seedlings turn out to be white- ill be very upset! If I have some awesome colours ill do some extreme guerilla gardening and plant some around Nan’s headstone… she would love the idea- she was as cheeky as they come.